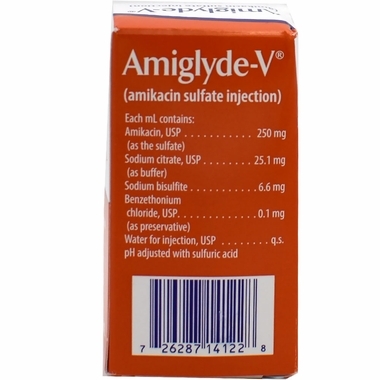 Amiglyde-V 12 gram Amikacin sulfate is a semi-synthetic aminoglycoside antibiotic derived from kanamycin. AMIGLYDE-V is indicated for the treatment of uterine infections (endometritis, metritis and pyometra) in mares, when caused by susceptible organisms including Escherichia coli, Pseudomonas sp and Klebsiella sp. 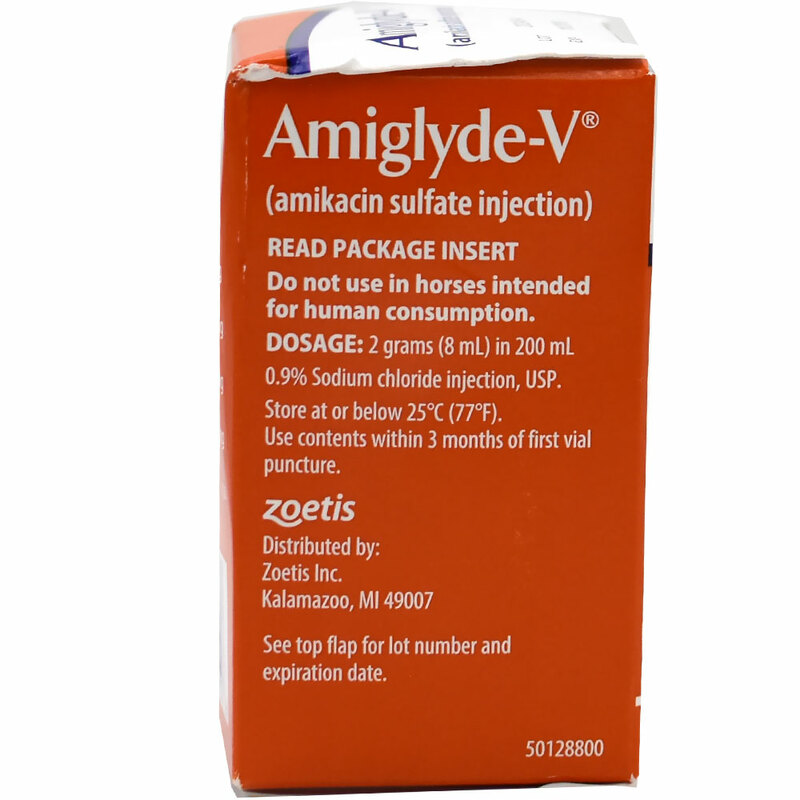 The use of AMIGLYDE-V in eliminating infections caused by the above organisms has been shown clinically to improve fertility in infected mares. 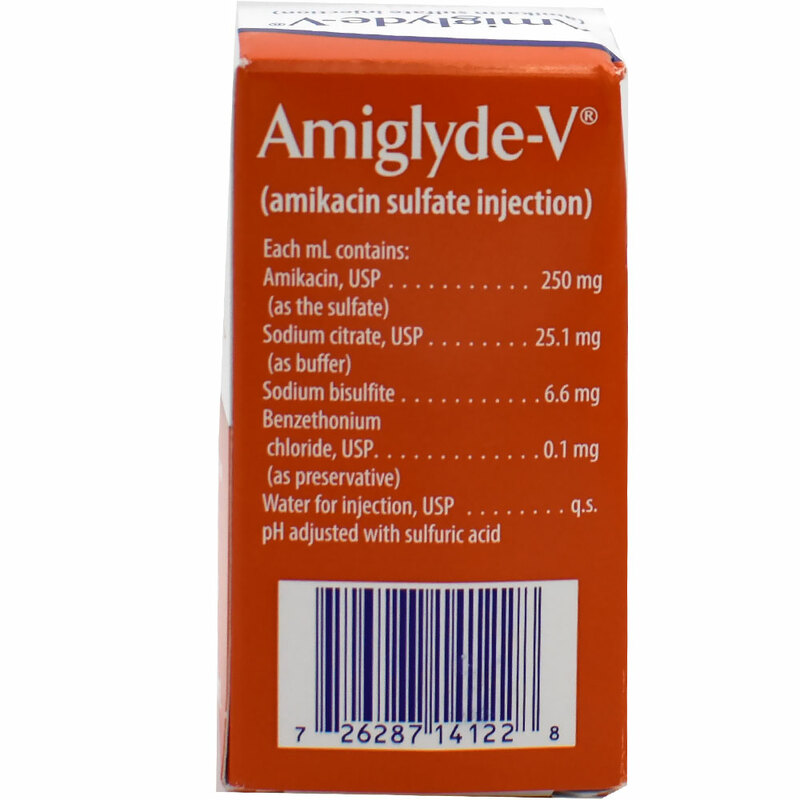 Amikacin is a semi-synthetic antibiotic derived from kanamycin, a member of the aminoglycoside antibiotic family. This antibiotic acts on susceptible bacteria by inhibiting protein synthesis, resulting in bacterial cell death. Similar drugs include getamicin, kanamycin and neomycin. 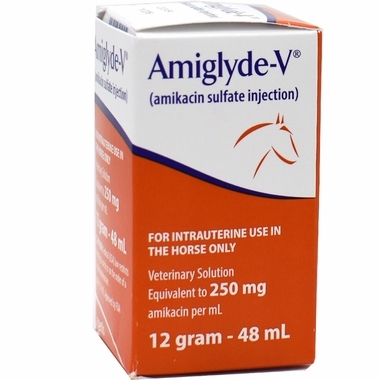 Amikacin is effective against specific bacteria and is not effective against fungi and viruses. As with other aminoglycosides, amikacin is eliminated by the kidneys and has the potential to cause kidney damage. Amikacin is a prescription drug and can only be obtained from a veterinarian or by prescription from a veterinarian.